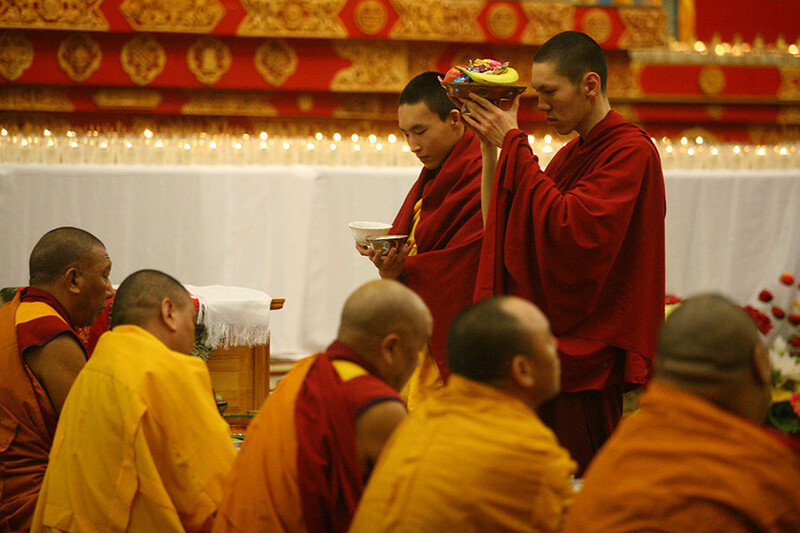 Monks practice astrology and Buddhist medicine while awaiting the Dalai Lama’s visit. 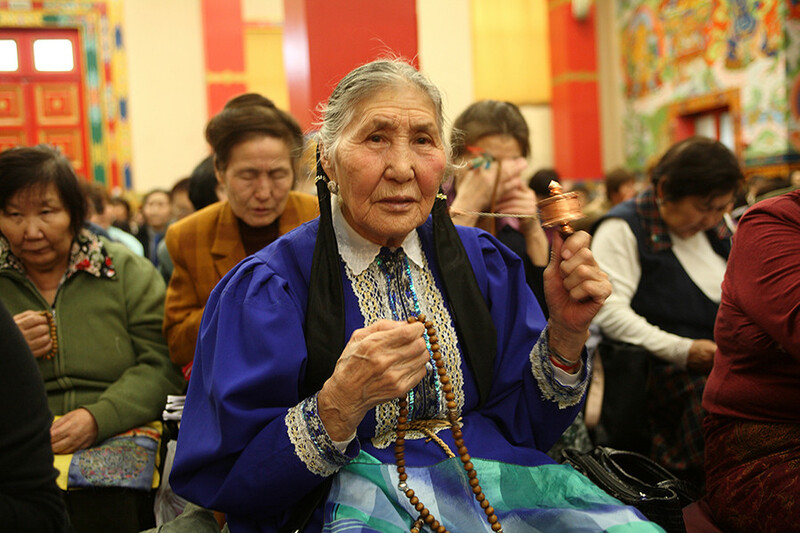 These descendants of ancient Mongols, known as Kalmyks, live in southern Russia in the the Republic of Kalmykia, the only Buddhist state in Europe. They built this temple to preserve their religion after the Soviet government tried to wipe out their way of life. Much of the Republic of Kalmykia’s population resisted the Red Army’s advances towards Russia’s South during the Civil War, and some of them even teamed up with the Nazis during the Nazi invasion. Expelled from their land in 1943, the Kalmyks were scattered throughout the USSR until the Soviet government allowed them to return home in 1956. 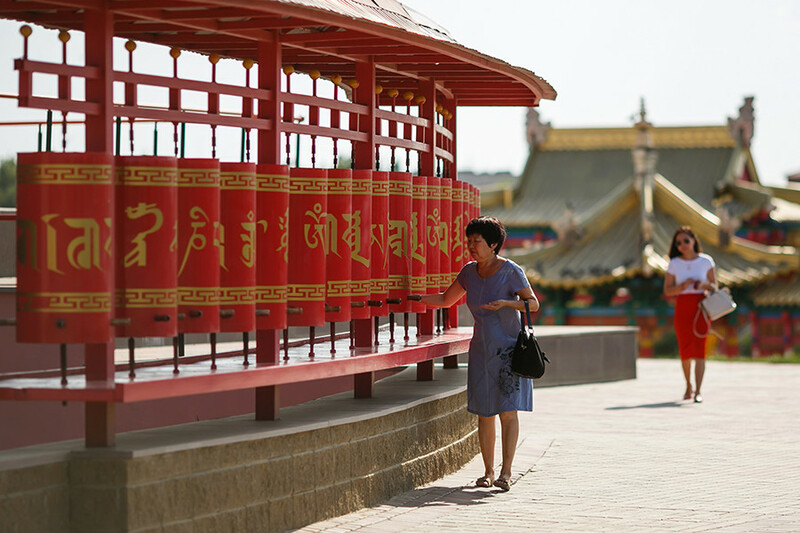 However, the Buddhists were not able to fully revive their way of life until after the breakup of the Soviet Union. 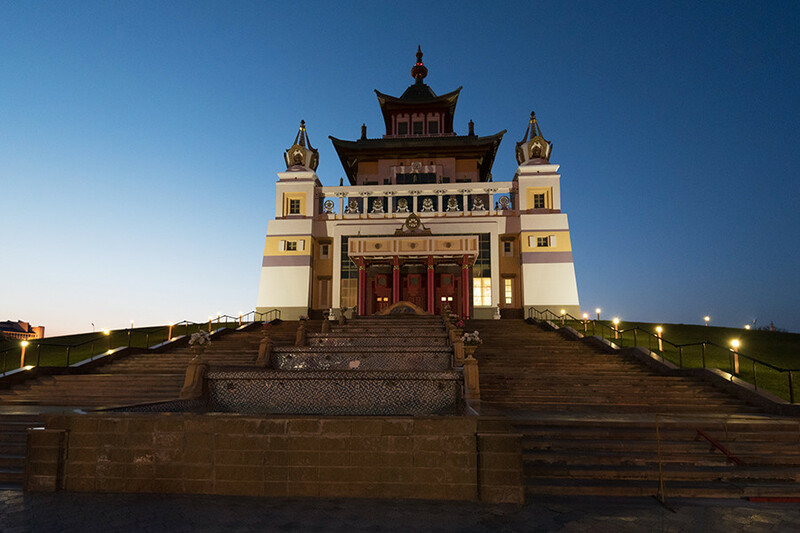 Tenzin Gyatso, the 14th Dalai Lama, blessed the construction of the Burkhan Bakshin Altan Sume, one of Europe’s biggest Buddhist shrines located in Russia, when he visited Kalmykia’s capital Elista in 2014. The shrine officially opened its doors in December 2005. 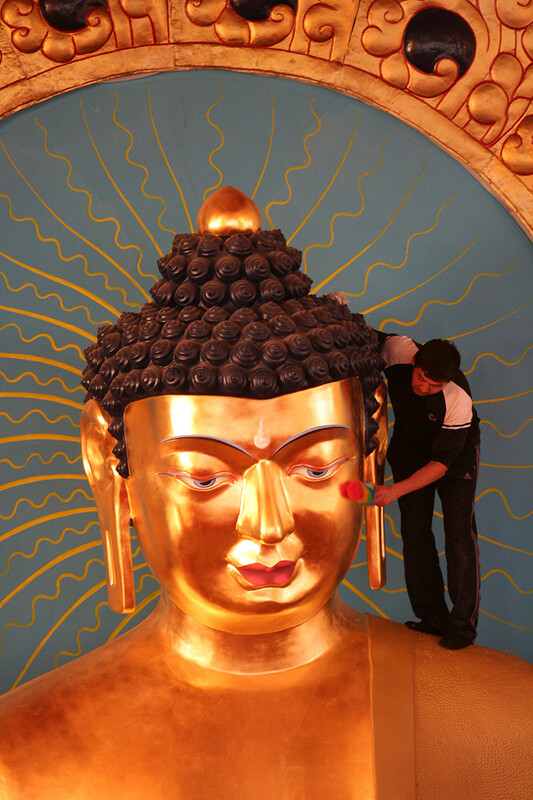 Its opening ceremony was dedicated to the Buddhist holiday Zul and commemorated the day of deportation at the same time. 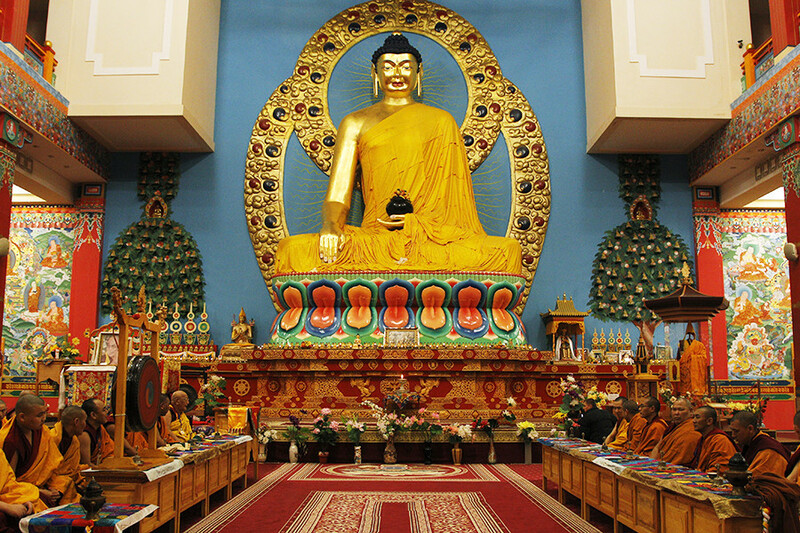 According to Buddhist tradition, the temple hosts a special residence for the Dalai Lama - among other venues. The residence is located on the fifth level of the shrine and consists of a study, a hall for an audience with the Buddhist leader, a bedroom, and kitchen. 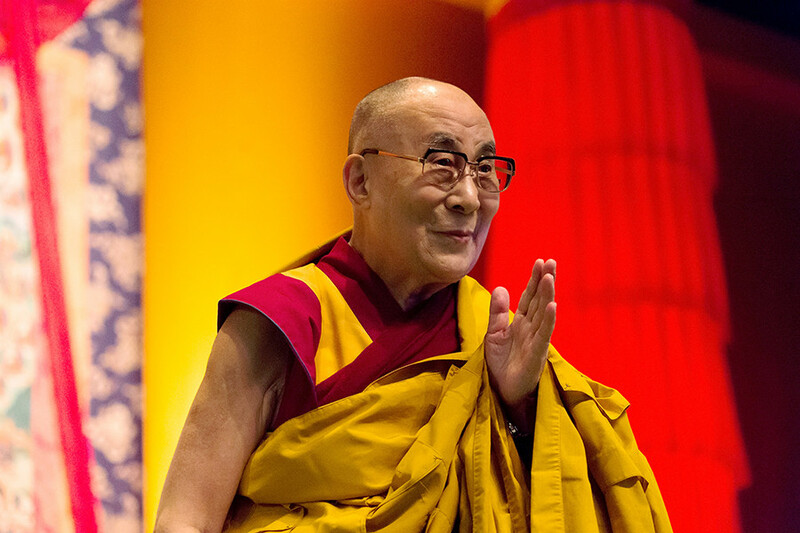 Although the Dalai Lama has never stayed in his Russian residence, the Russian Buddhists always keep the fifth floor vacant and ready in case he suddenly decides to visit. Other famous and spiritual people have visited the shrine, however. 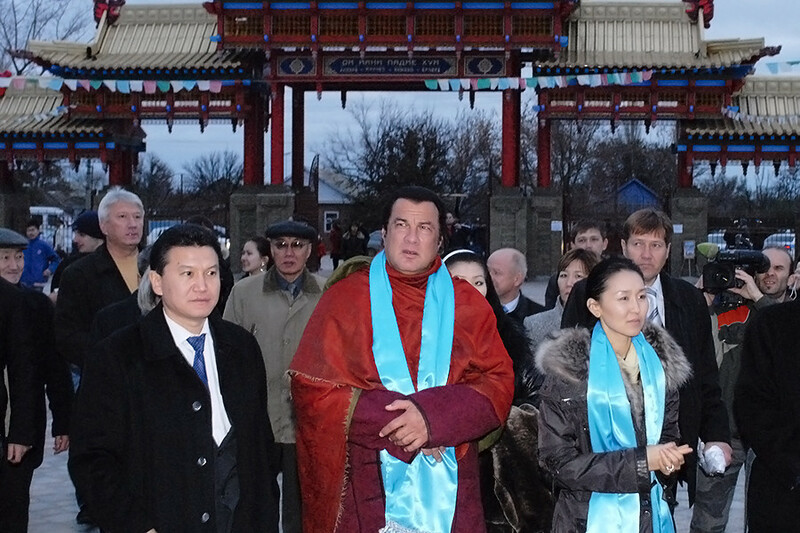 Actor Steven Seagal got the locals pretty excited when he visited the temple in 2007. The actor was made an honorary citizen of Kalmykia and even received an apartment from the country’s president. 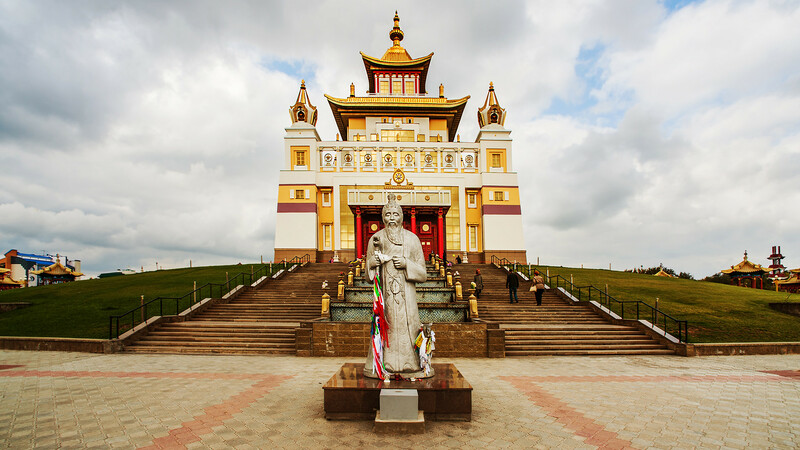 The Burkhan Bakshin Altan Sume temple is famous for its nine-meter tall Buddha statue covered in gold. It’s the biggest statue of Buddha in Europe. Twenty-seven people serve in the temple, including monks. They practice astrology, Buddhist medicine, and lead spiritual rituals. Many of them studied their craft in Buddhist temples in India. 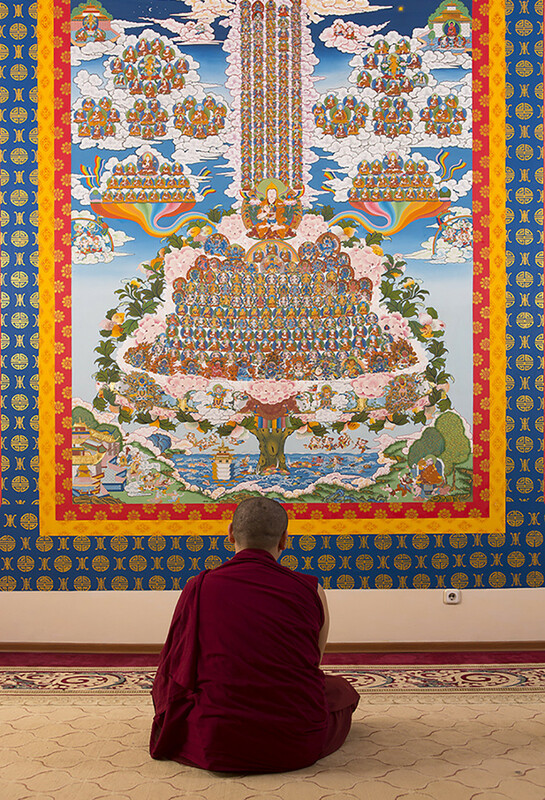 Read more about Buddhist life in Russia here.